By Community Chickens on June 22, 2012 Visit Community's Website. From urban hen adventures in the North to 4-H chicken projects in the South, the backyard poultry revolution is sweeping the nation. Healthy chickens are an important priority if you are raising them for meat or eggs, as breeding show birds or game birds, or if you are keeping a big flock or simply a couple of hens. 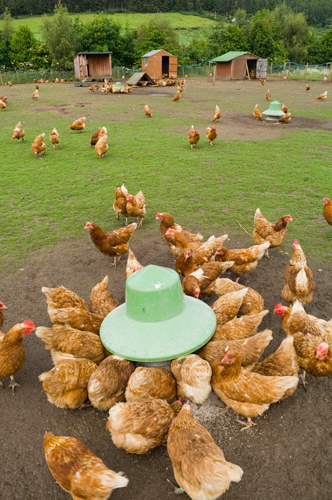 Providing your birds adequate space, clean living quarters, healthy feed and clean water will help prevent chicken diseases, and with a little extra work, you can produce a zone of biosecurity around your fowl that will be hard to break. That being said, knowing a bit about potential health threats and the simple steps that can be taken to keep your chicken-raising activities as healthy as possible, just makes sense. Dr. Fidelis Hegngi, senior staff veterinarian with the U.S. Department of Agriculture’s Animal and Plant Health Inspection Service, explains that in some countries, infectious poultry diseases can cause severe problems for flock owners. Two of the more notable diseases are High Pathogenicity Avian Influenza (HPAI), commonly called AI, and Exotic Newcastle Disease (END). While poultry diseases are not usually a threat to humans, they have the potential of making birds sick and even killing them. Low Pathogenicity Avian Influenza (LPAI) occasionally breaks out in North America; there is concern that it could potentially mutate to HPAI. By guarding against AI infection of any kind you can protect your flock from many other diseases as well. The best insurance against AI and other infectious diseases requires taking a few safety measures known collectively as backyard biosecurity. Hegngi explains backyard biosecurity includes a wide range of practices that can protect your flock from contracting disease – cleanliness is crucial. handling your birds. For your own health, wash again when your chores are complete. droppings. Remove all dirt and manure before you disinfect. share, clean and disinfect the tools before using. pair of shoes or boots near your cages to wear only when working with your birds. 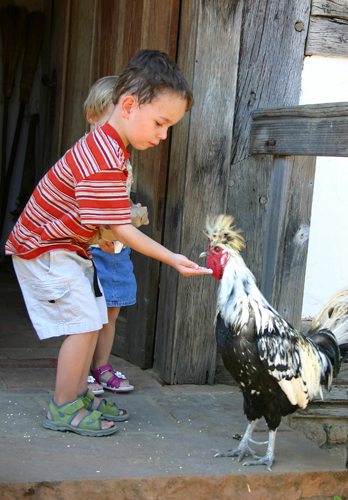 Hegngi also advises chicken owners to practice a “keep it away” policy, restricting access to a flock, especially if visitors have poultry of their own. • Avoid visiting other households with poultry. your shoes and clothes before returning to your chickens. for at least 30 days. • Control rodents – mice and rats carry disease. feed and water in an area minimizing contact with wild birds. extension agent or state department of agriculture. I lοveԁ as much as you’ll receive carried out right here. The sketch is tasteful, your authored material stylish. nonetheless, you command get got an shakiness over that you wish be delivering the following. unwell unquestionably come more formerly again as exactly the same nearly a lot often inside case you shield this hike.